for $645,000 with 5 bedrooms and 3 full baths. This 3,281 square foot home was built in 2003 on a lot size of 0.1346 Acre(s). 5 beds + Loft + 3 FULL baths at 3, 281 sq ft Built 2003. 1 Full Bed & Bath downstairs. NO HOA & NO MELLO ROOS! 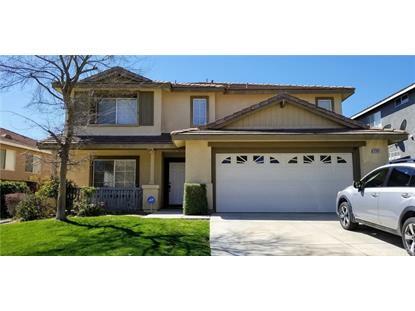 Best value in the Santa Clarita area at $196.58 per sq ft for an upgraded home! New as of March 2019 kitchen Quartz Counters installed with pony wall for countertop eating, could comfortably fit 4-5 individuals, & new under-mount stainless steel sink & faucet. New as of March 2019 white painted cabinets & new stainless steel handles. New as of March 2019 stainless steel dishwasher & previously installed stainless steel Gas range and built-in microwave. Fresh coat of paint on ceiling & walls. ALL 3 bathrooms have new gray Quartz counters & new squared under-mount sinks & new faucets & fresh coat of white paint on cabinets & new gray tile flooring. Kitchen opened to Family room. Large Walk-In Pantry. Large walk-in-closet off Master Bathroom. Large loft can be used as a 2nd living area, entertainment room, or children?s play-area. Located near the end of the Cul-De-Sac.